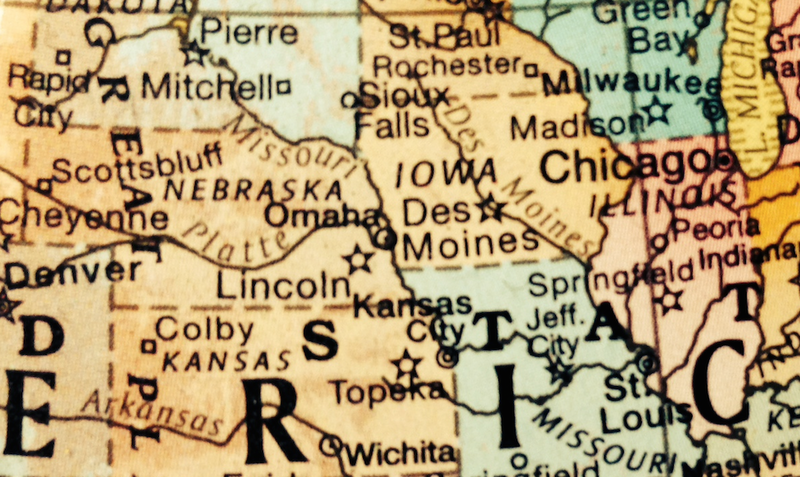 Some regions of the United States—particularly the south and the west—are the subject of focused scholarly attention. Many argue that these regions have distinct histories and characteristics that shape the life of those who live there as well as the history of our country. Should the Midwest also be treated as a region with important and distinctive characteristics that should not be ignored by scholars? A recent conference at the University of Kansas posed this question to a panel of experts on the Midwest, including myself as director of the University Press of Kansas. The conclusion is that the Midwest, defined generally as the area of the country beginning in Ohio and ending at the western boundary of Kansas, has particular regional characteristics drawn from the way it was settled, the nature of the economy, the natural environment, and the mix of small towns and major cities, among other factors, that have shaped the way people living in this area respond to important national issues. Whatever the outcome of this debate, Kansas, the Midwest, and the Plains is our home. We regard publishing on the history, society, economy, and environment of the Midwest to be an important part of the program at the University Press of Kansas. 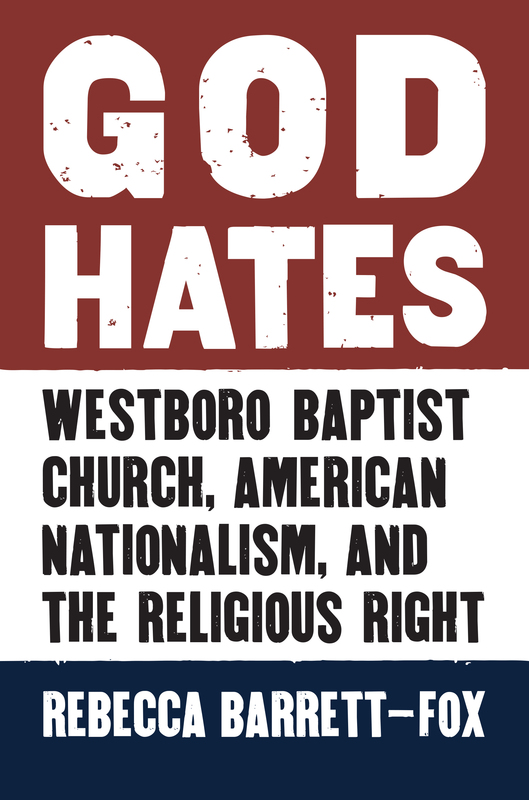 From books such as John Miller’s “Small Town Boys: Stories of Midwestern Boys who Shaped America”; Arnold Bauer’s “Time’s Shadow: Remembering the Family Farm in Kansas“; Iralee Barnard’s “Field Guide to the Common Grasses of Oklahoma, Kansas, and Nebraska” to the forthcoming “God Hates: Westboro Baptist Church, American Nationalism, and the Religious Right” by Rebecca Barrett-Fox, the University Press of Kansas has published excellent work about the Midwest and its impact on American life. 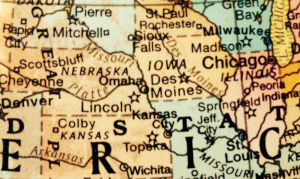 We continue to publish work not only about Kansas and the Midwest, but work from this region that is about America. 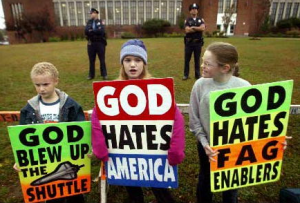 “Well, I thought we had a jewel this time.” Not the cruelest words ever spoken by Fred Phelps, founding pastor of the infamously hateful Westboro Baptist Church, but their victim knew them to be as condemning as any of the slogans on the church’s notorious picket signs. 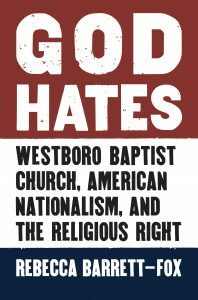 They meant that she, Megan Phelps-Roper, granddaughter of perhaps American Christianity’s most famous homophobe, was not only going to hell—she had never been going to heaven at all. “Gramps,” as Megan and her cousins called their beloved grandfather, shared Megan’s eternal fate with his elderly wife as their granddaughter left the church’s sanctuary for the final time, she recalls in a recent article in The New Yorker. Though she might experience the pleasures of life outside the confines of the church’s hyper-Calvinist doctrine, she would suffer the eternal tortures of the hottest corner of hell, the one reserved for former church members who reject the church’s teachings, “[f]or it had been better for them not to have known the way of righteousness, than, after they have known it, to turn from the holy commandment delivered unto them” (2nd Peter 2:21-22). Yet in the pews and in the homes of parents, the story is somewhat different. For many years—including during the before, during, and after the departure of Megan and many of her cousins—I studied the church close-up and from afar, attending church services, eating at potlucks, attending Bible studies, observing pickets, and interviewing current and former members as they have made their way out of the church. Their parents—people who were, for the most part, themselves not yet born when the church was founded in 1955—saw them reject the church that they believe is the only “candlestick” shining light into the sinful world, the ark that will carry them, like Noah and his family, to safety while the rest of the world is destroyed for its sins, and the rejection was heartbreaking. The problem wasn’t merely that their children were going to hell; it was the very practical matter that they weren’t going to share this life with them either. They took pictures of their children from the walls and refused to meet their new sons- and daughters-in-law and even grandchildren, but they also cried a lot. Rather than refusing to talk to me about their disfellowshipped children, some women simply couldn’t talk because their voices were choked with tears. “Of course I miss her,” snapped one otherwise softspoken church member when I asked about her daughter’s departure. The question, I realized, was stupid, because I had seen with my own eyes the love that the women had had for each other. Those relationships are what keep some members inside the church for longer than they would be otherwise. Sam Phelps-Roper, Megan’s older brother and an elder in the congregation, shared with me during an interview that some people stay not for the theology but for the camaraderie. Members of the church share the burden not just of their extensive picketing schedule but of caring for each other. Any day of the week, they will be working together to babysit the many children in the church, fix a leaky roof, build an addition for a growing family, or paint a fence. For Megan in particular, the church was a good place. She was the star child of the star child of the famous pastor, a role that had made her the envy of some of her cousins at different points in their growing up but that she was occupying with relative grace as she entered young adulthood. Smart as a whip, she shares her mother’s best qualities, both intellectual and physical, with Shirley’s strikingly light eyes and curls that have never been cut cascading down her back. Unlike her mother, she skipped law school, a setting where she surely would have excelled, in order to work full time on the ministry of the church. In an office in her parents’ home, she worked alongside her madre, as she lovingly called her mother, organizing and executing pickets and, eventually, pioneering the church’s use of Twitter. She was also changing the voice of WBC, never dropping the fire-and-brimstone but bringing in more humor and pop culture. In Perfect Children: Growing Up on the Religious Fringe, Amanda van Eck Duymaer van Twist shares several case studies of what happens when a new religious movement’s second generation comes of age. 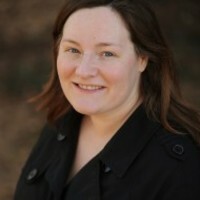 Unlike their parents, who chose to join the group and shaped its founding, the second generation finds itself socialized into a group that has no history of socializing children and may be unprepared for the challenges that young adults deliver to the group’s theology and practices. Leaders can clamp down, patrolling the border even more vigorously and ostracizing doubters and dissenters. They can change and adapt, neutralizing criticisms and complaints by making just enough change to undermine revolt. And, of course, they can die out. 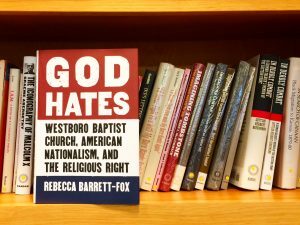 Even if half of their young people left, though, Westboro Baptists, who generally have very large families, have enough people left to continue. The long-term question—and the one that Megan has answered with a definite no—is whether they have enough love in their hearts for each other to make that worthwhile.